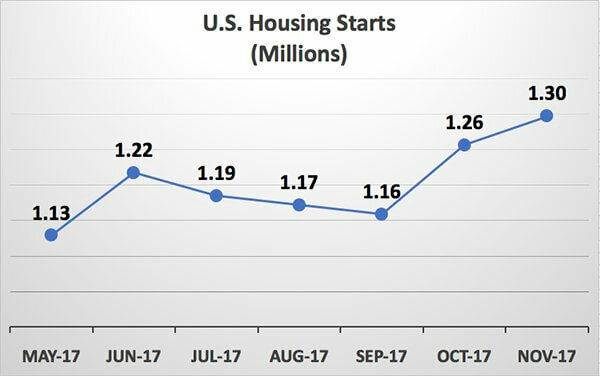 Residential housing starts for November rose 3.3% to 1.3m annualized rate which is higher than the estimate of 1.25m and above the 1.26m of the prior month. Single-family starts jumped 5.3% to 930,000, highest since Sep 2007. Single-family permits have increased for three straight months, also indicating a sustained pipeline of work for developers. Homebuilder’s confidence jumped in December to the highest level since July 1999. All of this means more work and lost opportunities if you’re not ready. One of the things you should not undertake yourself is photography. Leave it to the professionals. Let TruPlace take that off your plate with our fast appointments and fast turnaround. Our real estate photography is second to none and very affordable – as low as $199 for our Photo30 package.